// When Do I Need a Tax Fraud Lawyer? Accusations concerning tax fraud are very serious. The Internal Revenue Service will waste no time and show little mercy in attempting to recover money from you if they feel you’ve acted fraudulently. Going up against the tax code in the US can be a daunting task for the uninitiated; the code weighs in at more than 70,000 pages at last count. If you don’t know your way around the tax code already, having to defend yourself against accusations of tax fraud can be a terrifying experience. A tax fraud lawyer can help defend you from allegations of tax fraud. When do I need a tax fraud attorney in New York? A dispute with the IRS typically arises from an audit. Yearly IRS tax audits are automatically triggered, but can be otherwise initiated for a variety of reasons, such as claiming high losses, exemptions, or charitable donations. Regardless of the reason for the issue, a dispute with the IRS or an audit in should be handled by a tax fraud attorney. Even if the end result isn’t a prison term, a tax fraud investigation initiated by the IRS can cost you a lot of money. Acting as an executor of an estate is an immense responsibility. Not only do you have to ensure that the assets in the estate are disposed of as prescribed, but you need to make sure that all applicable laws are followed. Those laws are likely to include federal, state, and local tax laws, which may include regulations on paying taxes on the assets of the estate. United States’ tax laws are extremely complex, even if you’re only filling your taxes as an individual. Filing business taxes, taxes on investment earnings, and other rules and regulations make the code even more difficult to understand. An honest mistake on your taxes due to the overwhelmingly complexity of local, state, and federal tax law could lead to a tax fraud charge. Questionable claims on your tax forms about business expenses could also be construed as fraud. This is by no means an exhaustive list, but it does include common instances in which hiring a tax fraud attorney will be the best course of action. 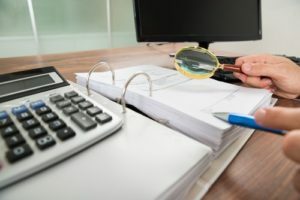 As a general rule, if you have to go before the IRS for an audit, a dispute, or to handle an accusation of tax wrongdoing, it will be in your best interest to seek counsel from an attorney who is well-versed in tax fraud. If you are in New York and are in need of the assistance of a tax fraud lawyer, contact the law offices of George Vomvolakis at (212)-682-0700 as soon as possible, or reach out online for a free consultation concerning your case and what we can for you.